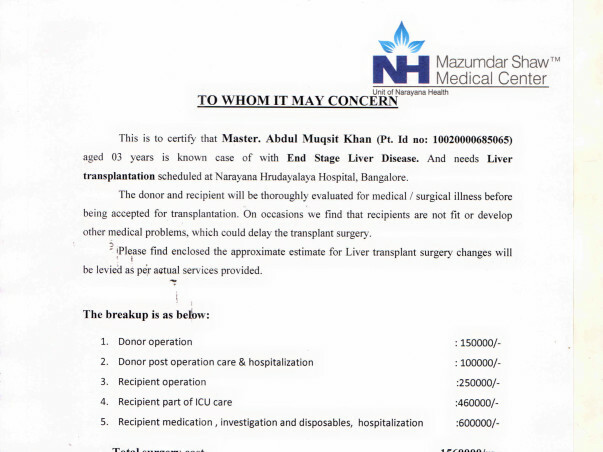 3 years old baby boy is undergoing Liver Transplant Surgery, at Naryana Hrudayalaya Hospital, Bangalore. 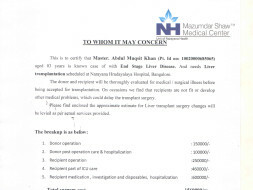 by birth he was suffering from Biliary Atresia (disease affects One in every 18,000 new born) and there is no known cause for this condition, at the age of 2 months we have done the Kasai Procedure, which is temprorary solution to delay the process of Liver Transplant. 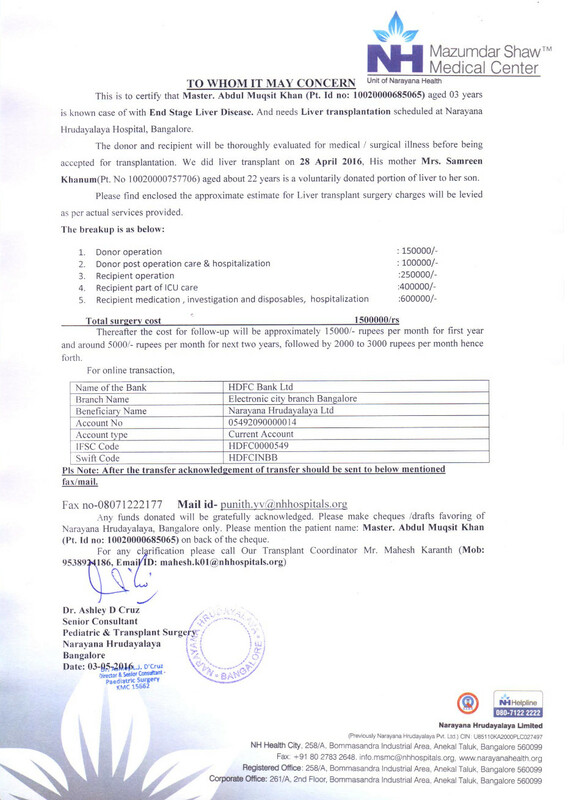 Now time has come to do the Transplant as the condition has worsen for the baby, and my wife has come forward to donate her portion of Liver.